This is from a recent trip to Germany. 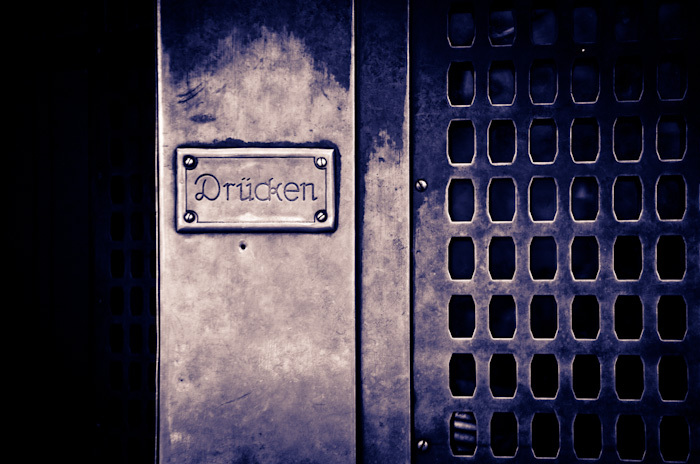 It is a photograph of a brass doorplate in the train station in Lindau. I love Lindau. It is a wonderful place, full of history and character. This is hardly the highlight - there is so much more to see - but I enjoyed it as a subject for photography and the sense of it being a tactile chronicle – all those millions of touches - and the hint of Art Deco in the lettering giving away the era of the architecture. Art Deco brass door plate, Lindau, Lake Constance, Germany.